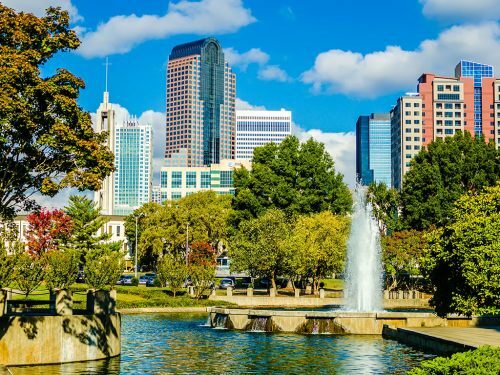 Delta has dropped the price of nearly all their flights from Toronto to Charlotte, North Carolina down to $259 CAD roundtrip including taxes, on dates throughout all of 2016, including summer and Christmas. This is about 40% cheaper than the typical best prices to Charlotte. Practically every date in 2016, and in January 2017. 2. Click on the departure date box to open up the calendar view. Pick your dates. 3. Click through from Google Flights to the Delta website to book the flight. Where to stay in Charlotte? The map below will show you some great deals on AirBNB accommodations in an ideal location in Charlotte for under $139 CAD/night for 2 people. 3 Responses to "Toronto to Charlotte, North Carolina - $259 CAD roundtrip including taxes | throughout all of 2016 (including summer and Christmas)"
It's because this deal was posted back on February 25th. You may want to sign up for the YYZ Deals e-mail alerts to be notified when a new deal is posted, so that you see it first.